Changing your region may affect price & product availability. Free shipping is valid on individual orders with a subtotal of $30 or more when all items are shipped in a single box to the same address, and after promotions and discounts are applied. Gift cards, shipping, and taxes do not qualify toward the minimum purchase requirement. Offer is subject to change without notice. Orders not eligible for free shipping are charged a flat shipping fee of $5.95 for the entire order. Please note: Changing your region may affect price & product availability. Success! We've updated your info. Color your hair at home like a total pro. Go lighter, go darker, cover highlights, or maintain your current look with pro tips from our color team. So you want to color your hair at home, but you're feeling a little nervous. You're in the right place! 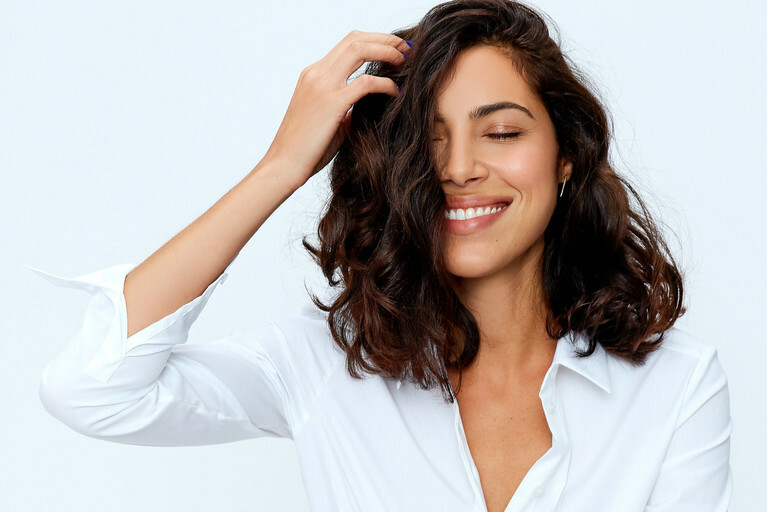 We've got total pro secrets from our colorists that will help you take your shade lighter or darker, teach you just what to do about highlights, and keep your color fresh once you've reached your goals. Coloring with confidence? Coming right up. First rule of at-home color maintenance? Regrowth only! If you've found your shade and just want to keep it up, make sure that touchups stay strictly to the roots. Overlapping onto previously colored hair can leave you with unnecessary darkening or damage. If you do need an all-over color boost, we recommend massaging leftover color throughout the rest of your hair right before you rinse. “If you've found your shade and just want to keep it up, make sure that touchups stay strictly to the roots. If you're ready to take your previously lightened hair a notch or two darker, the best approach is to darken gradually in stages. That way you can prevent from going too dark, which is difficult to correct and can cause damage when re-lightening. We recommend darkening your hair 2 shades lighter than your goal color and if it's still too light, go a little bit darker! Remember: dying hair darker is much easier on your hair health than going lighter. Slow and steady wins the race. Going lighter can be a trickier transition than going darker, since hair color is not able to 'lift' other hair color. However, we do have a few tips that can make the transition easier. One option is to lighten only your new growth, while letting the ends of your hair fade gradually to match. Another would be to add in highlights or balayage to weave lighter pieces into your darker base color as it grows out. Pro tip: It may also be helpful to use a color removal product to get away from the existing darker pigments. If you have highlights, and are ready to say bye, lights, it can be a little more complicated than simply coloring over them. First, you may need a colorfIll, which replaces the pigmentation that was stripped when highlighting. Think of the pigmentation in your hair color as an “undercoat.” To lighten your color, you need to get rid of that undercoat. When going darker after previously lightening, you'll need to put the undercoat back so that your color looks even and vibrant. That's what a colorfill does, and it is perfect for covering your highlights. On the other hand, if you love your lights but still want to cover your roots, we recommend using a single-process color on your newly grown-in roots, avoiding getting any color on your highlights. If it matches your base color, this application will help blend your roots for a natural look. New to eSalon? Interested in getting a hair color crafted for you (and only you)? Get your custom color. 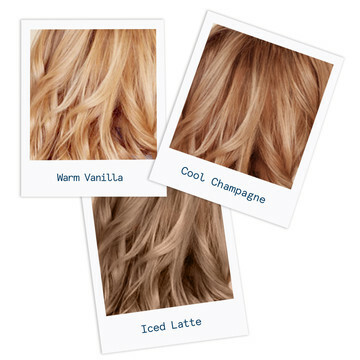 Which Blonde Hair Color Is Right For Me: Warm Vanilla, Iced Latte, or Cool Champagne? Get brilliant home hair color customized just for you, plus personalized application instructions. We're committed to your color happiness. Not 100% satisfied? It's on us. Copyright © eSalon 2019 All Rights Reserved.